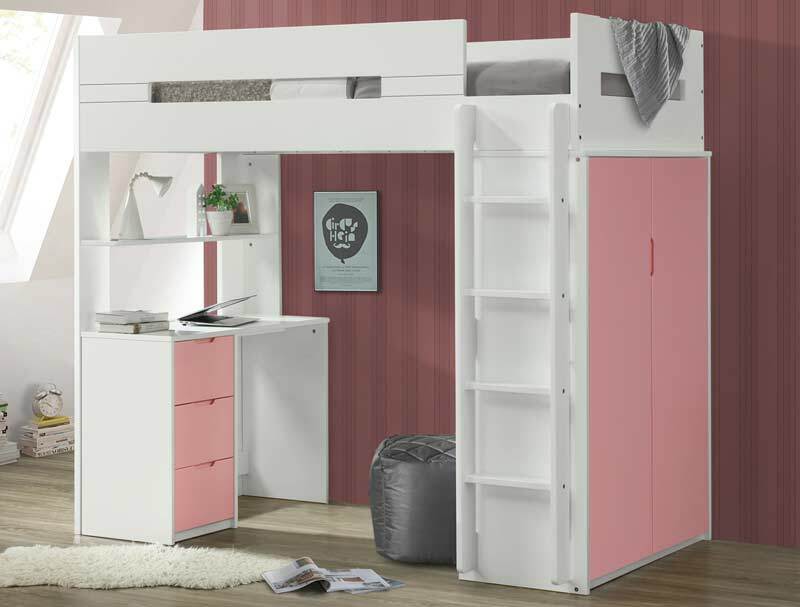 The Lilo is new for 2019 and offers a stylish compact high sleeper bunk bed with wardrobe, desk and plenty of under bed space for a chair (not supplied). The Lilo is made of rubberwood from a sustainable source with MDF on the bed frame wardrobe and desk. The wardrobe has a hanging rail and shelf and the ladder is fixed to the side of the wardrobe. 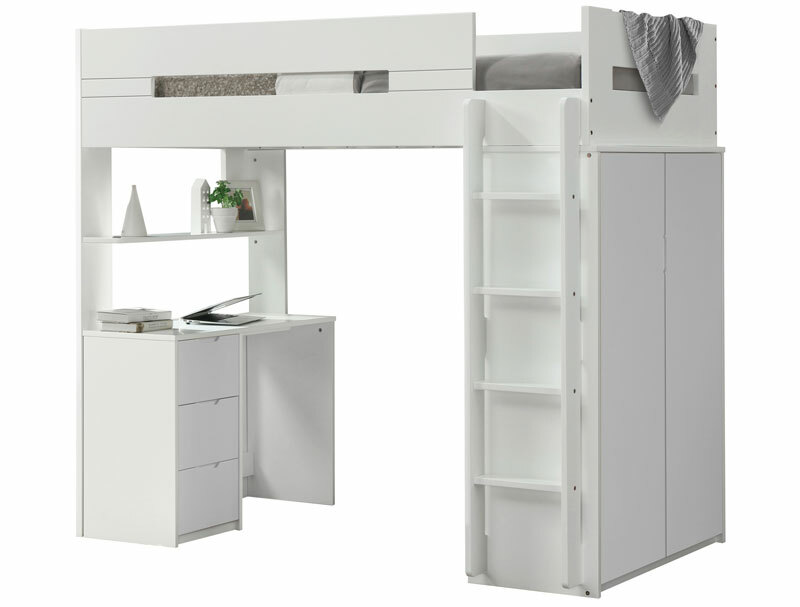 The Lilo bunk is supplied as a frame only which is flat packed for home self-assembly. A mattress is optional and it is advised to have a mattress under 20cm deep for safety reasons standard single UK size 90cm x 190cm. 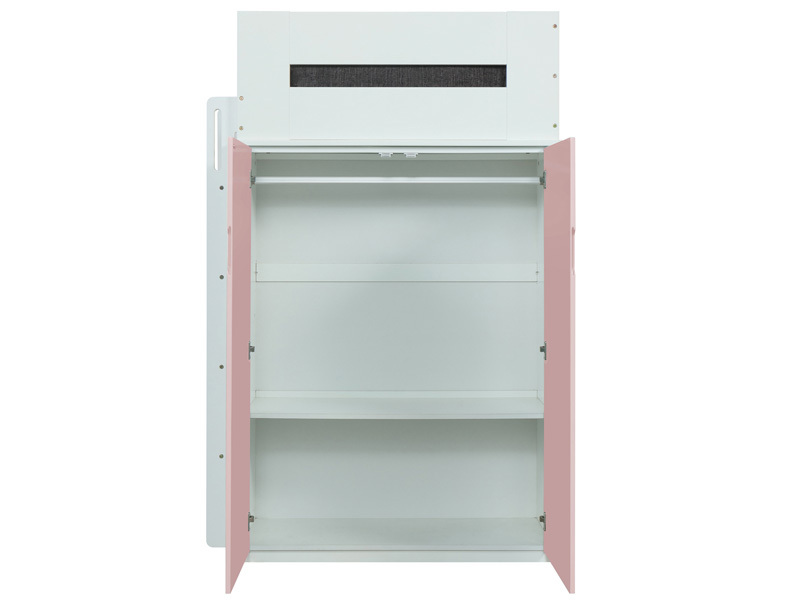 The Lilo bunk is available in all white, or white & blue or white & pink.